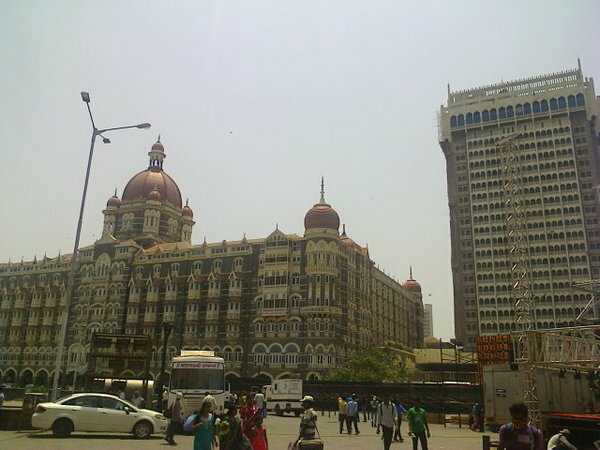 Revisiting mumbai - Trip report. Me & my friend visited mumbai on 6 may 2015. 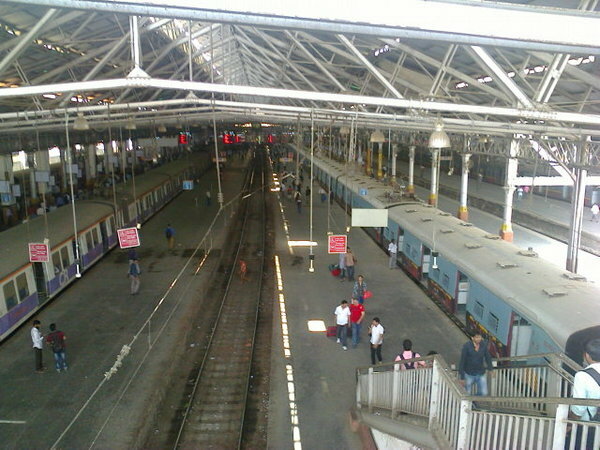 We catch local train from dombivali to cst at 9.28 am. 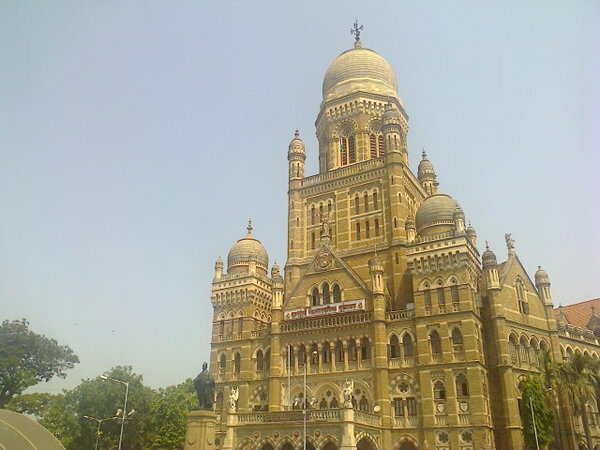 Reach cst station & decided to cover mumbai places through walking. 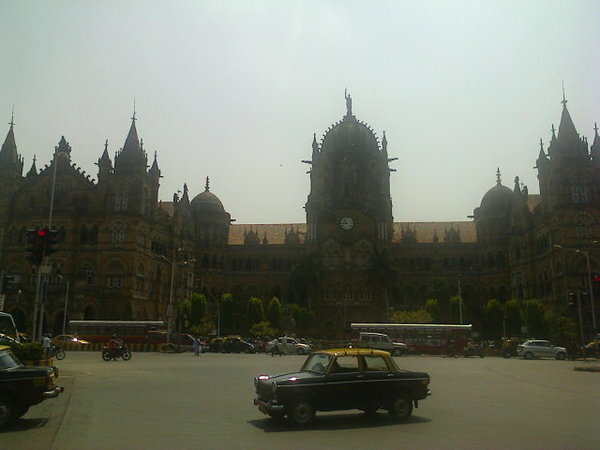 After cst station then we go to view times of india building. 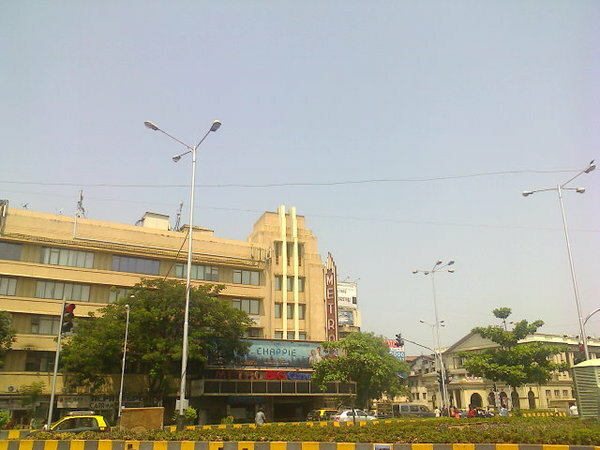 In times of india building there was a planet m music CD store (now closed). we friends go there to listen free music songs through headset. 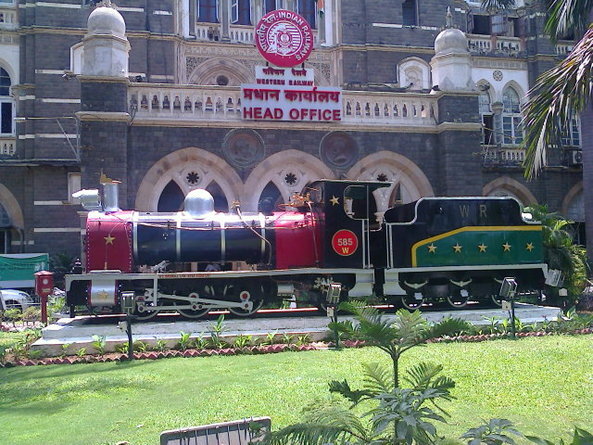 Then we go to view central railway headquarter building. 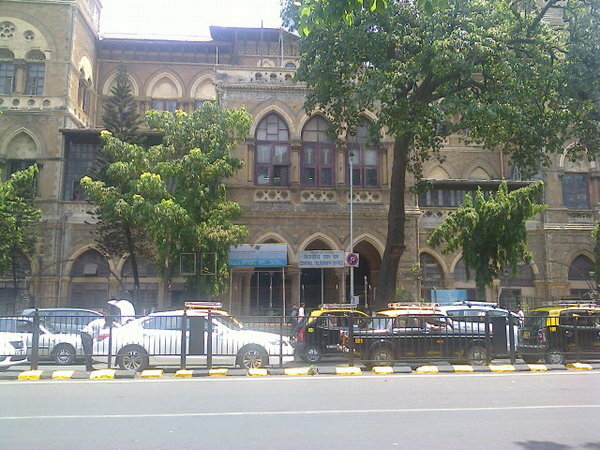 Opposite central railway headquarter there is a mumbai muncipal corporation building. 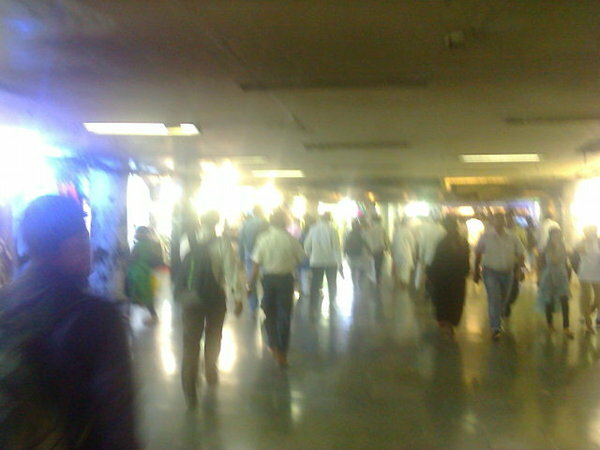 Then we go cst station underground subway straight to BMC headquarter khaugalli. 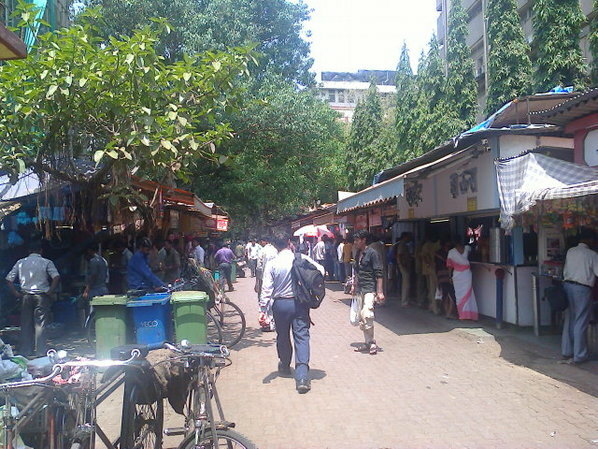 Lanes with sizable cluster of street food stalls known as "khaugallis". Those who can not afford luxury hotels foods rely heavily on cheaper the street side food (khaugalli). 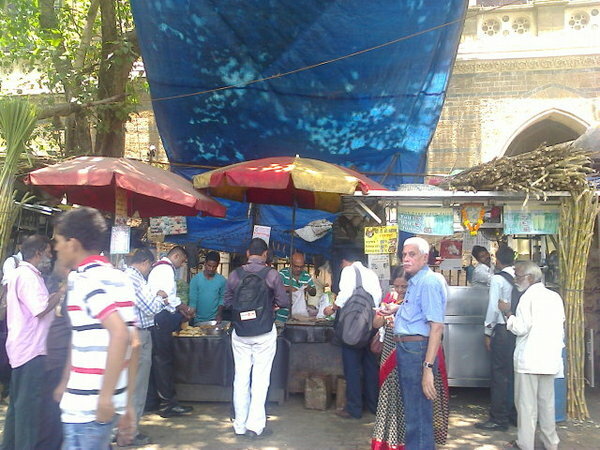 Budget travellers, college students, officegoers & those who come at azad maidan for agitation eats here. 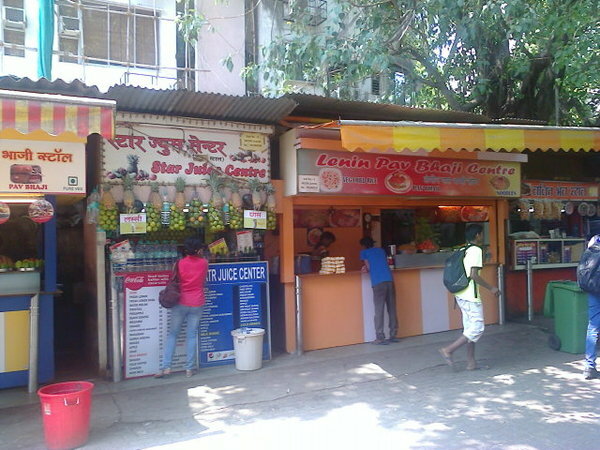 Pav bhaji, vada pav, kande pohe, masala dosa, medu vada, idli, kala khatta, ice golas, kokam sharbat, kairi panha, fruit juices etc. available to eat & drink here. Then from opposite BMC headquarter khaugalli to metro cinema. On the way one can see cama hospital (26/11 mumbai attack building), st xaviers college (barack obama visited the college). Malhar is one of the most popular college festivals in city hosted by the students of st xaviers college. It is an inter-collegiate youth festival. 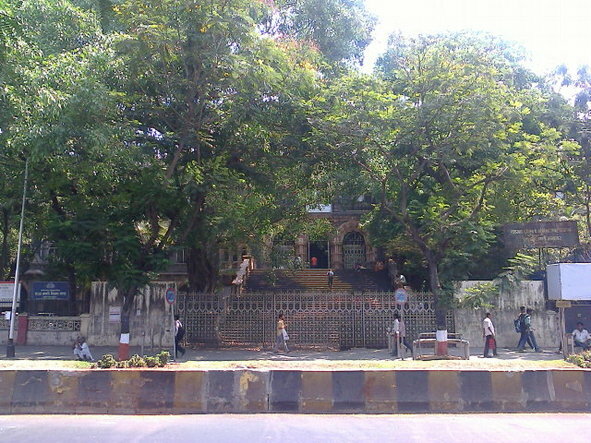 Then to elphinstone technical highschool steps (aarosh puzzle place). 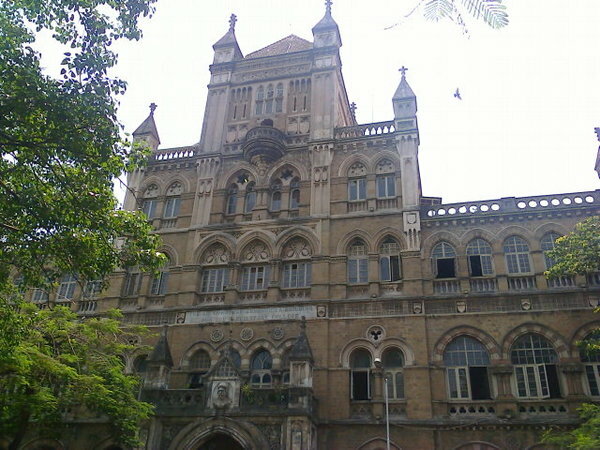 Shootout at lokhandwala movie scene is actually shot at the steps of the elphinstone technical highschool. Then we reach opposite metro cinema. From opposite metro cinema then we go fashion street (fs). Fashion street shops opens after 11.00 am. 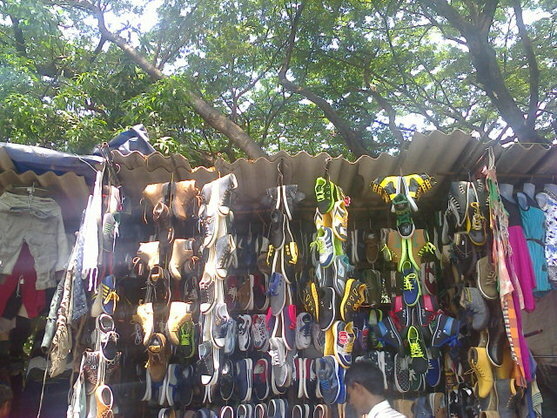 It is a popular tourist destination & is known for bargaining shopping. 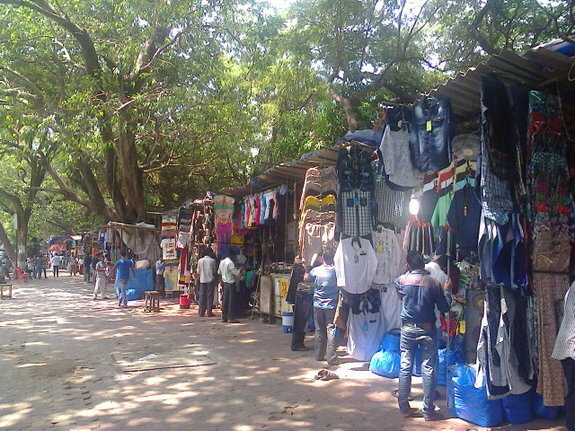 If you want to enjoy street side shopping in mumbai then there is nothing better than heading out to fashion street. We friends also come here regularly for shopping. 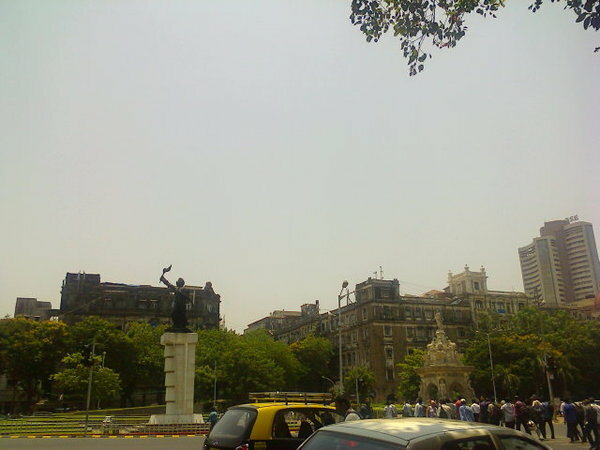 Opposite to fashion street is azad maidan & bombay gymkhana. 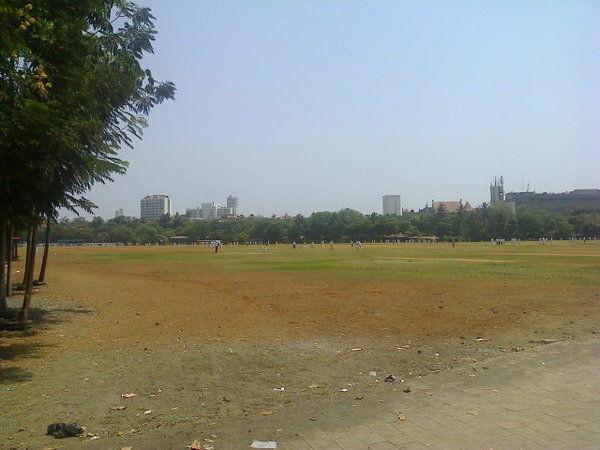 Azad maidan famous for its agitations. 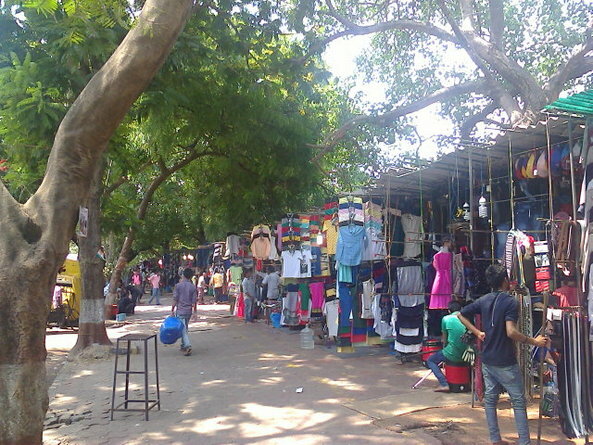 From fashion street road to then we go cross maidan khaugalli ( located at the end of cross maidan, connecting SNDT sunderabai hall to fashion street). 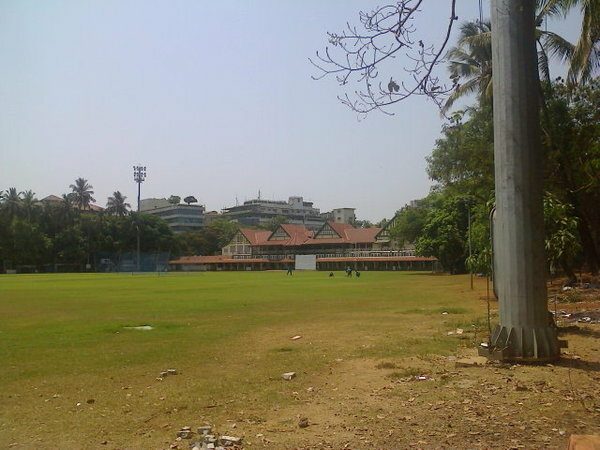 On the way one can see cross maidan- another iconic ground in the city of mumbai. 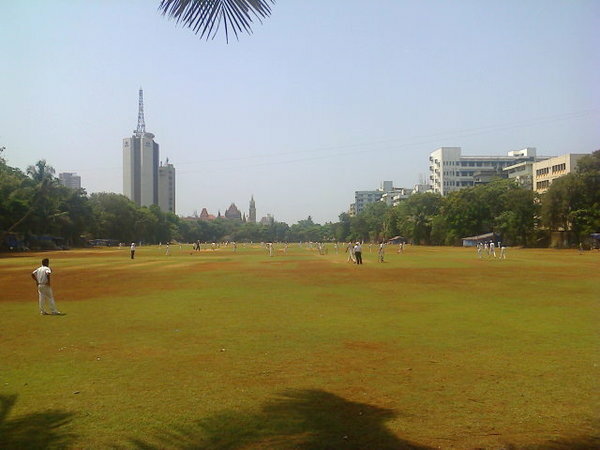 The cricket pitches at the grounds have produced many international cricketers. 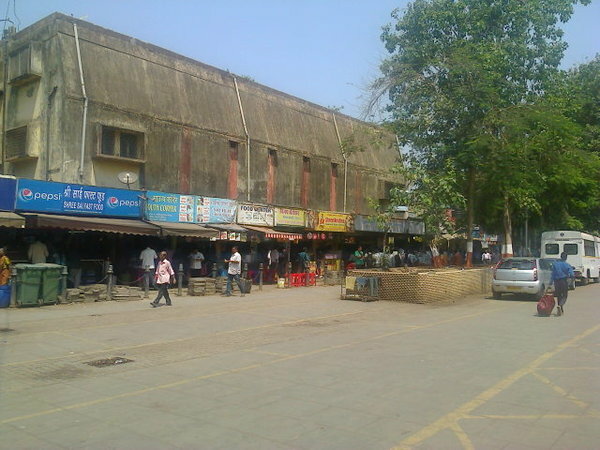 Cross maidan khaugalli- those come to fashion street for shopping eats here, cricket players comes for practice matches eats here, churchgate station area officegoers & budget travellers eats here. This cross maidan khaugalli also famous among low pocket money college students (perfect place for hangout). 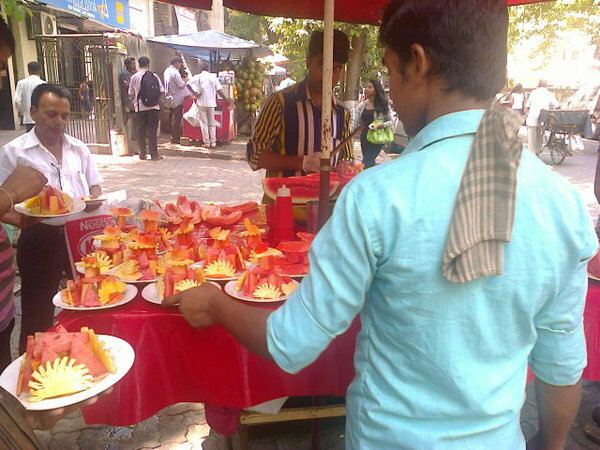 We eat fresh mix fruits plate here. From cross maidan khaugalli again return to fashion street road & then proceed to bhikha behram well. 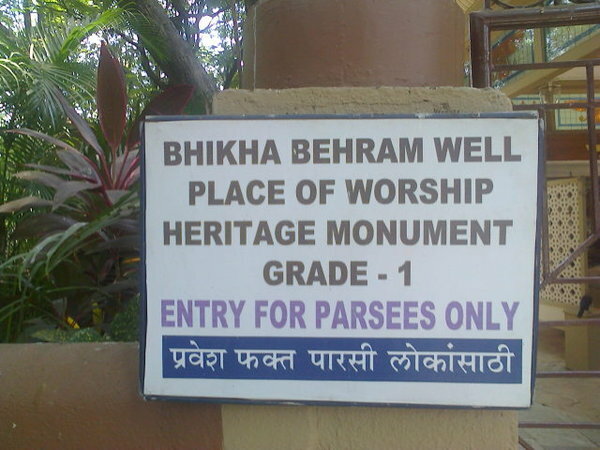 The parsis treat the well & its surroundings as sacred because it contains fresh water even though it is close to the sea. They prey here with their foreheads pressed against the stone rim. 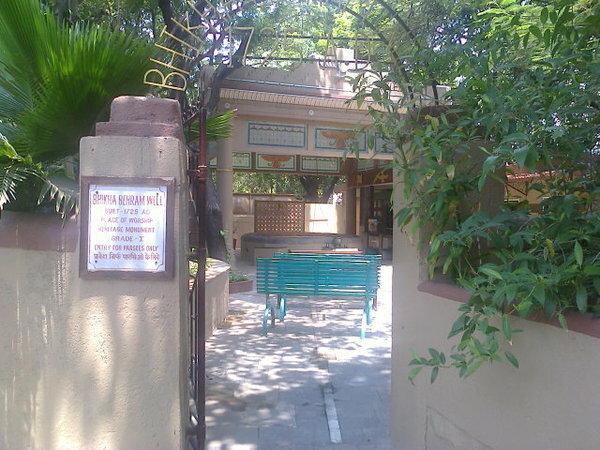 It is said that if anyone lights a lamp near it, all his wishes would be fulfilled (entry for parsees only). From bhikha behram well then to cross maidan garden. Here we take 10 to 15 minutes break. 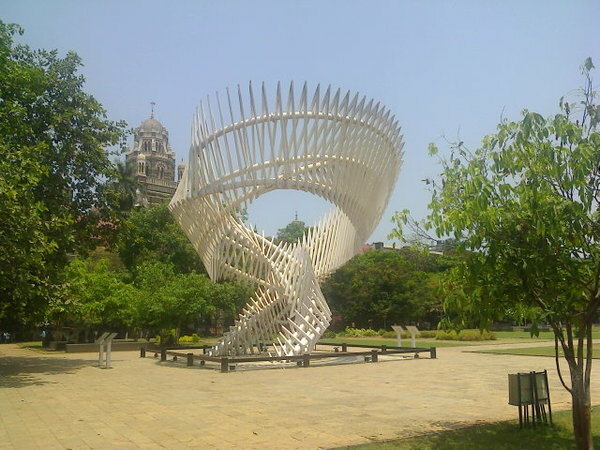 At the time of kala ghoda festival, we come here as the dance programs are held at cross maidan garden. 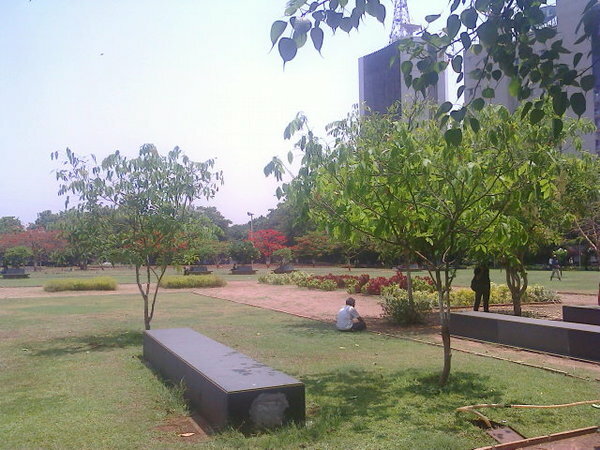 It has a walking track, flowerbeds & benches for senior citizens, a play area for children. Main attraction is a beautiful charkha. 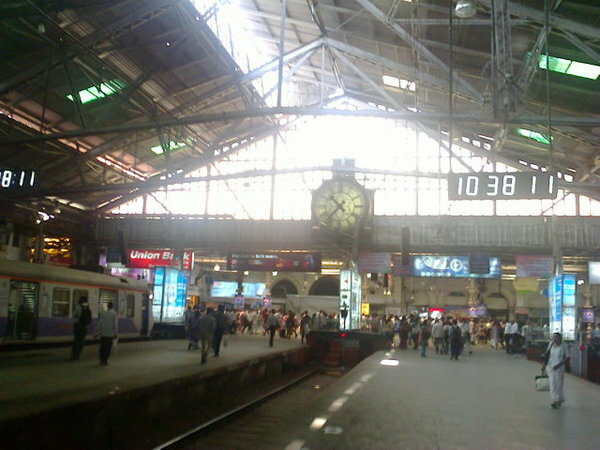 From cross maidan garden to then churchgate railway station building. 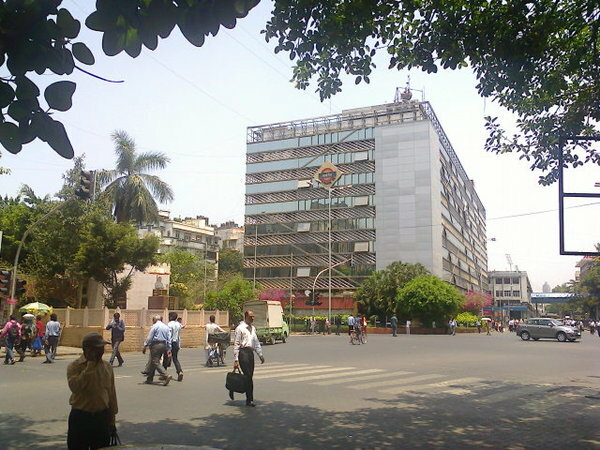 Opposite to churchgate railway station building is western railway headquarter. Here we reached 11.45 am. 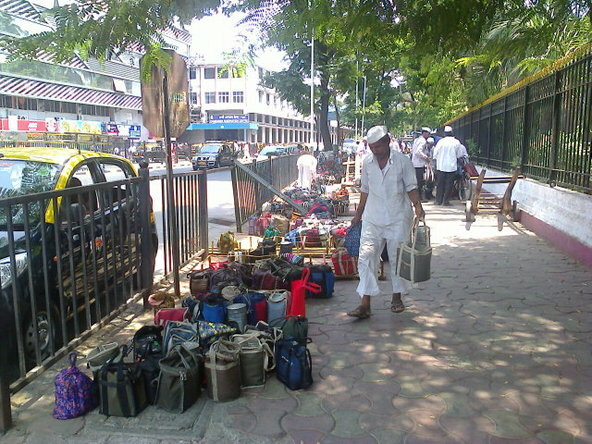 If you not reach here on time then you will miss all the actions of mumbai dabbawalas. 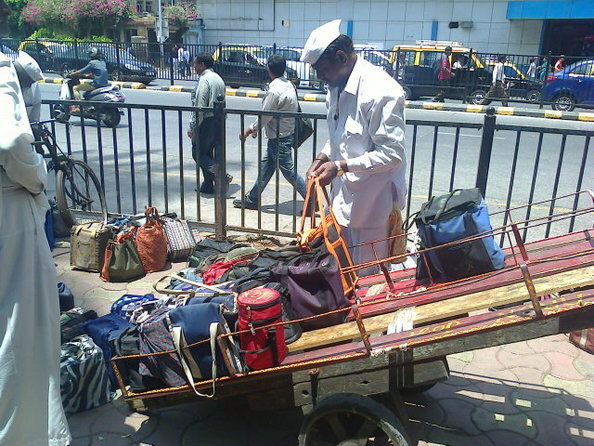 A dabbawala takes the lunch box from house & delivers it to destination. 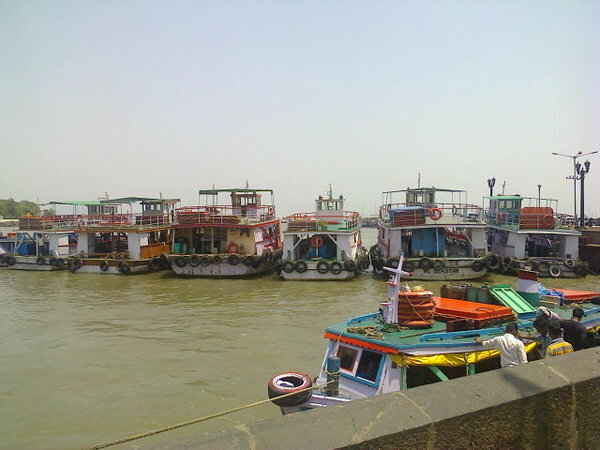 The tiffins are sorted as per their destination according to dabbawala coding system. Even prince charles visited this site to see them in action. 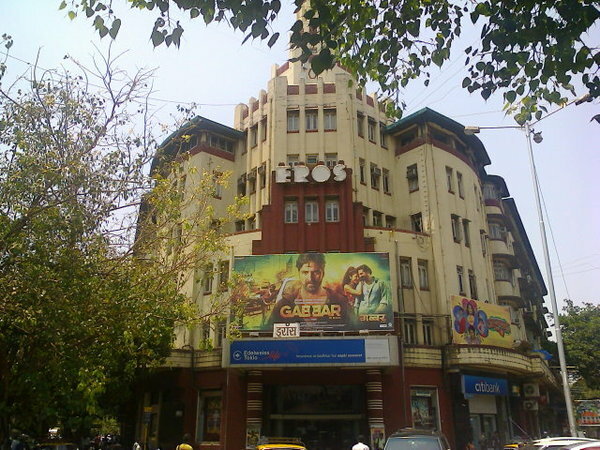 From churchgate station then to eros cinema, opposite to is LIC building. 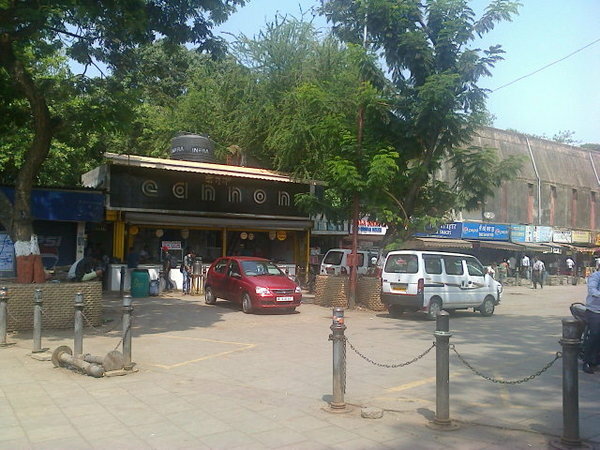 Then decided to go from eros cinema to flora fountain (hutatma chowk). 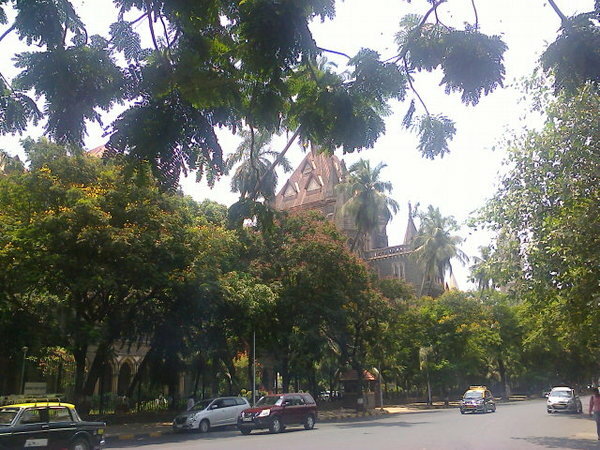 On the way one can see oval maidan, mumbai high court, central telegraph office (from mumbai high court road one can go rajabai clock tower & return to flora fountain also). 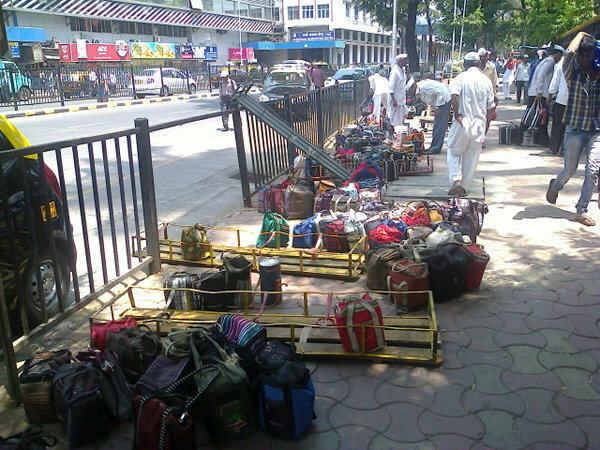 Reached central telegraph office (cto) building footpath, opposite to is flora fountain (hutatma chowk). 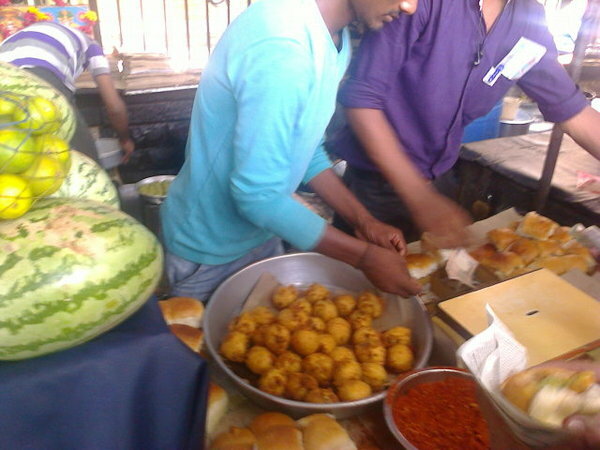 Here we eat cto vada pav (Rs.12). Vada pav is a vegetarian fast food dish native to the indian state of maharashtra, consisting of potato fritter (vada) in bread bun (pav). 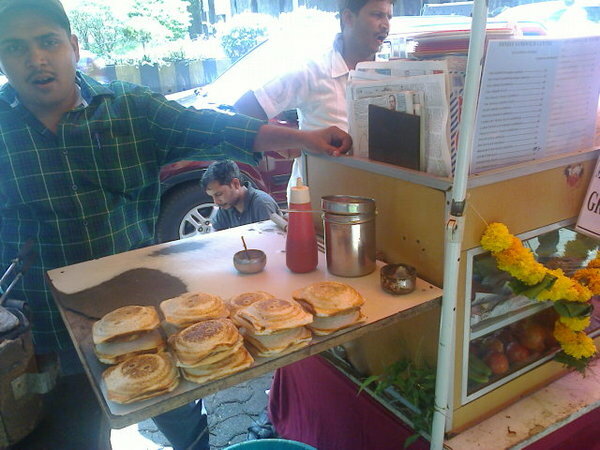 It originated as cheap street food in mumbai. We friends normally eat vada pav without chutney (only pav & vada). 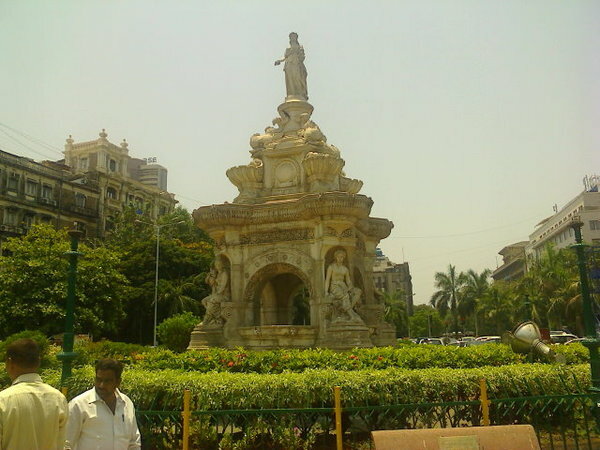 Flora fountain indias prestigious fountain located in the city of mumbai & is a major tourist attraction. 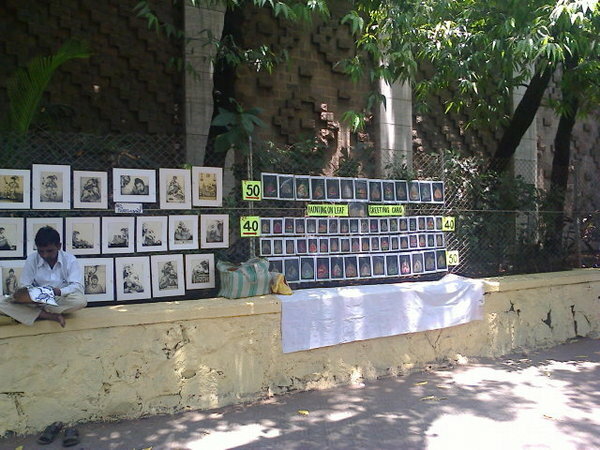 The fountain now known as 'martyrs square' of hutatma chowk to honor the 105 members of the 'samyukta maharashtra samiti' who lost their lives while fighting for separate maharashtra state. 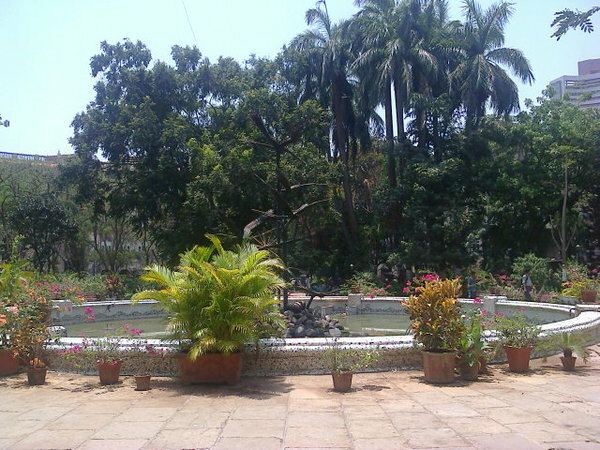 After flora fountain (hutatma chowk) we then go horniman circle garden. 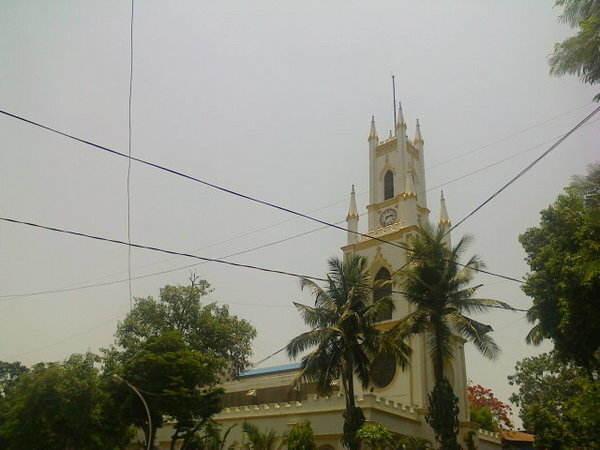 On the way one can see st thomas cathedral church. 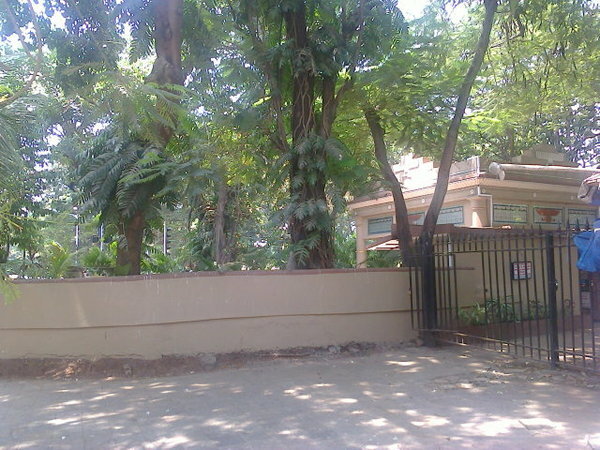 We reached horniman circle garden. Here we take another 10 to 15 minutes break. 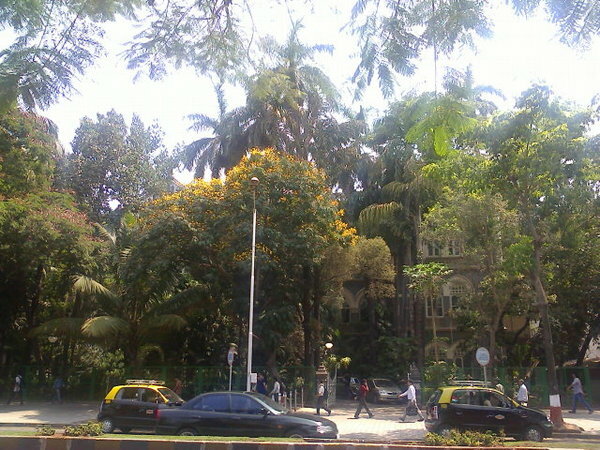 After horniman circle garden then to the asiatic society mumbai. 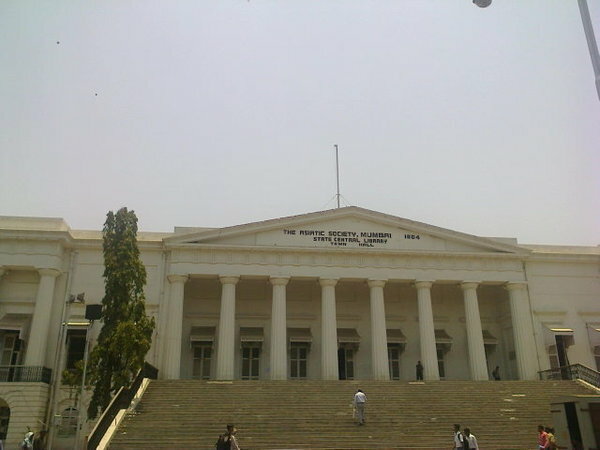 One of the very famous & old libraries in mumbai. 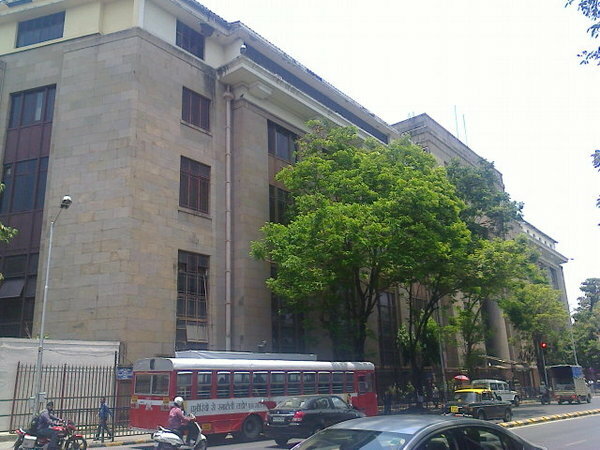 Then we go old reserve bank of india building. 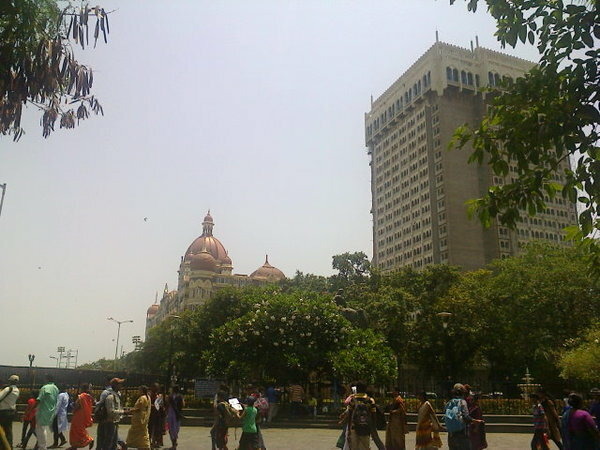 Opposite to old RBI is a tall white building which is the new RBI building. 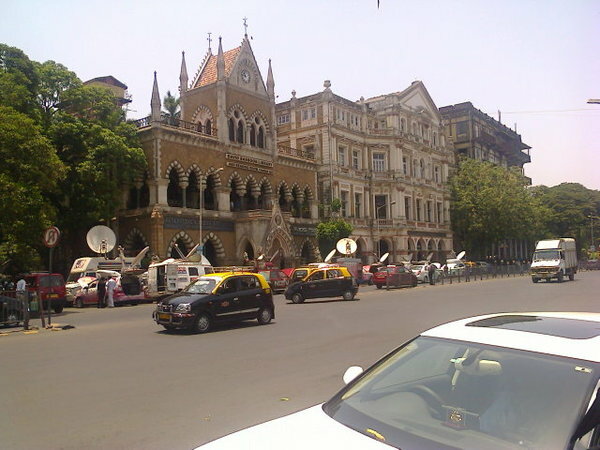 From RBI then we go bombay stock exchange (BSE) which is the oldest stock exchange in asia (not click photo due to high security). 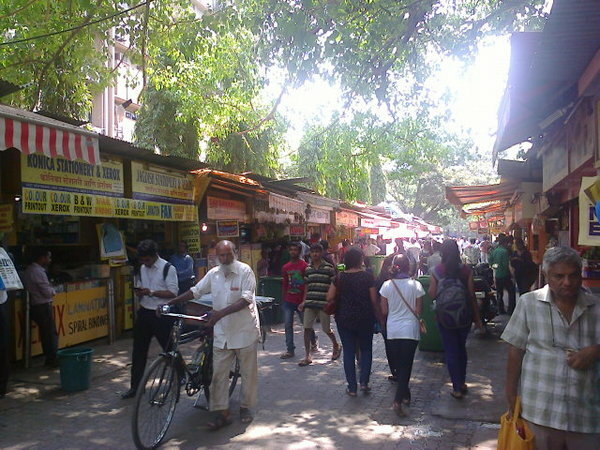 Then we go kala ghoda (every year in february, kala ghoda is the venue of kala ghoda festival). 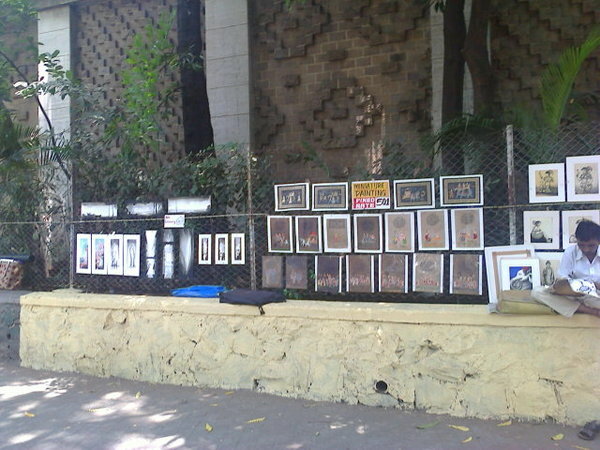 Kala ghoda arts festival is mumbai's largest street festival. 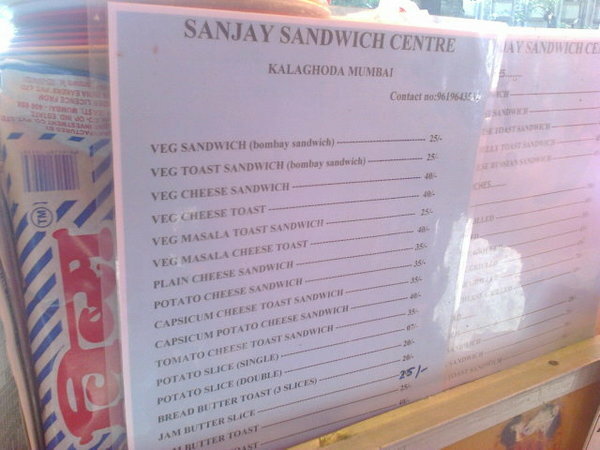 Here we eat veg sandwich at sanjay sandwich center (if we friends come kala ghoda festival then eat sandwich here). 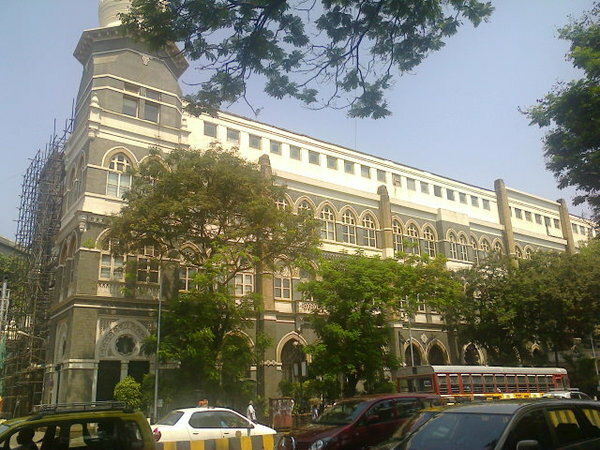 Then army & navy building another iconic building & david sassoon library. 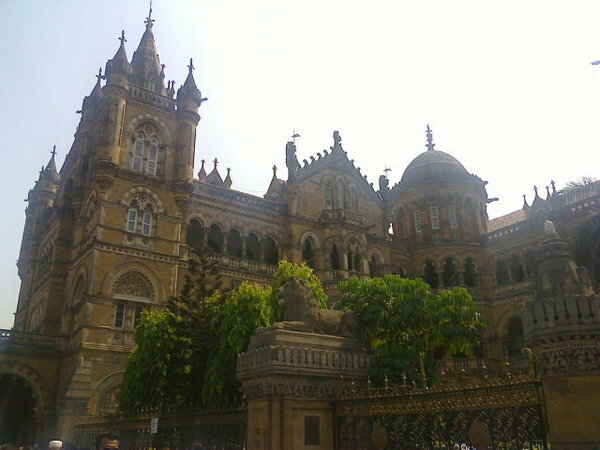 Famous library & heritage structure in mumbai. 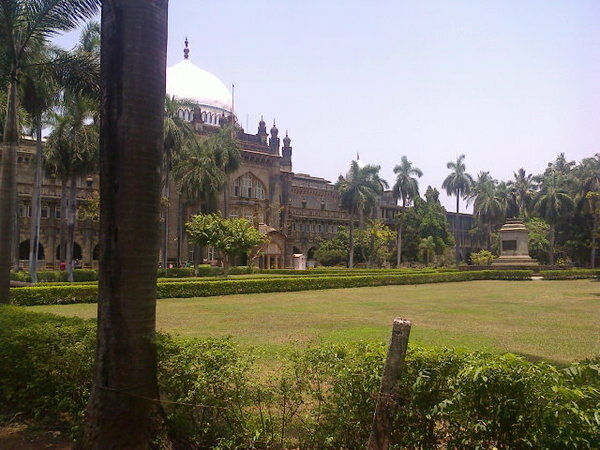 Then elphinstone college, it is one of the oldest college of university of mumbai. 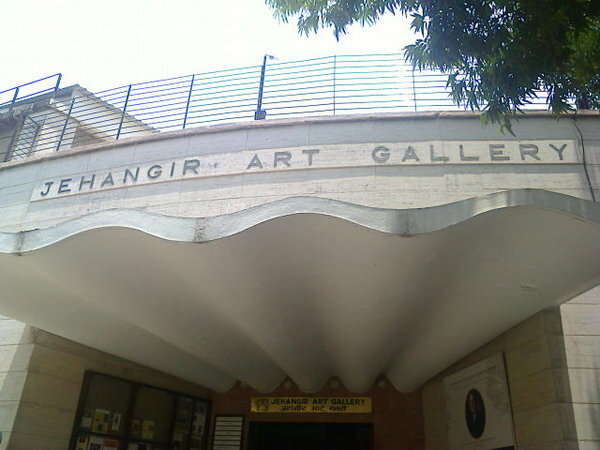 Opposite to elphinstone college is jehangir art gallery. A centre of cultural & educational activities. 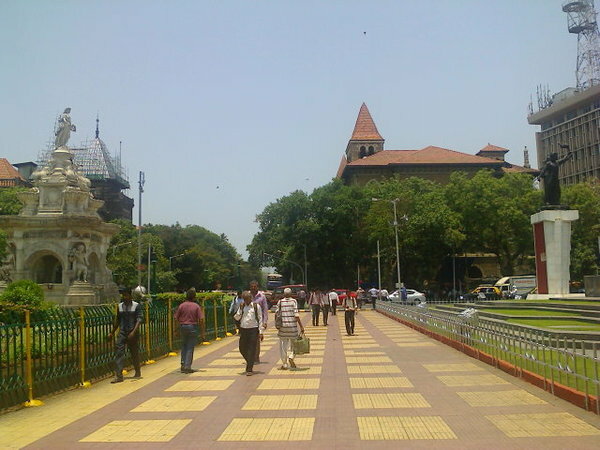 Then we decided to walk towards chatrapati shivaji maharaj vastu sanghralay (prince of wales museum). On the way one can see miniature paintings. 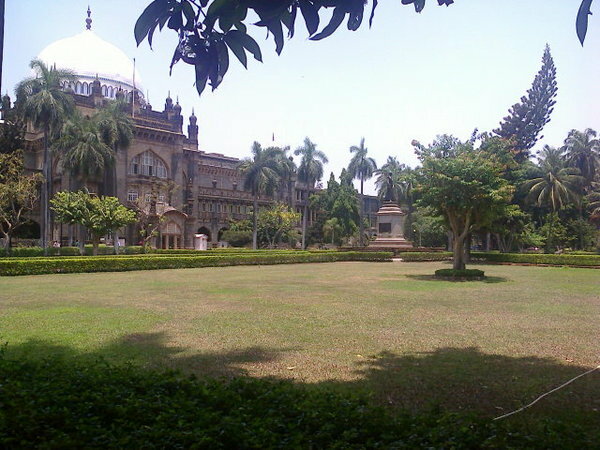 Chatrapati shivaji maharaj vastu sangrahalaya is one of the premier art & history museums in india. 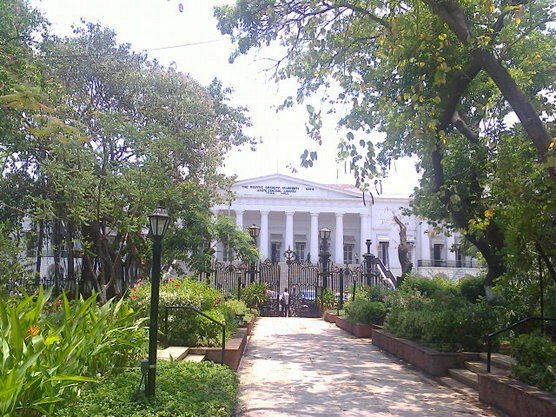 Opposite to is national gallery of modern art (NGMA). Then we go regal cinema. 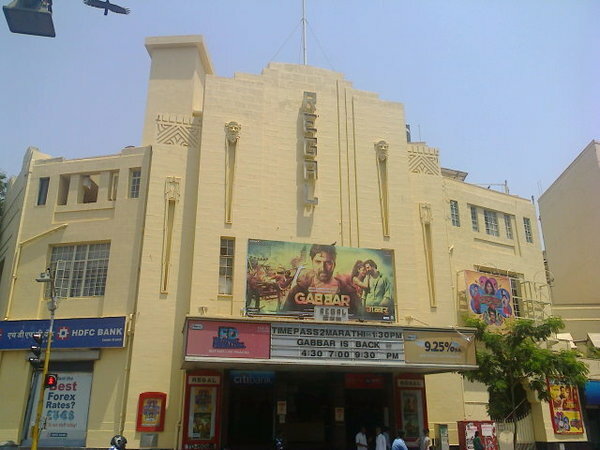 After regal cinema walk towards gateway of india. 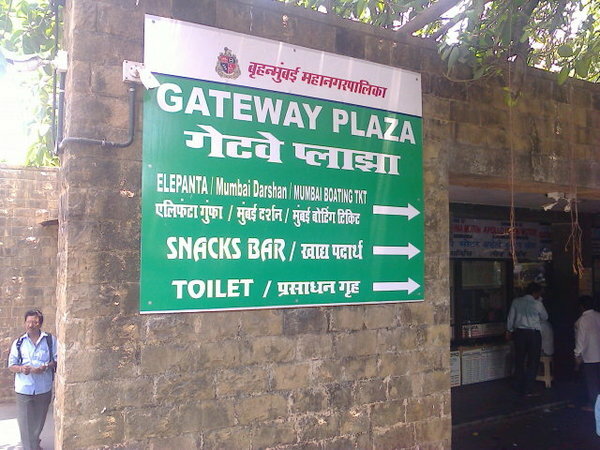 At "gateway plaza" elephanta ticket, boating ticket, snacks bar, toilet facilities available under one roof. 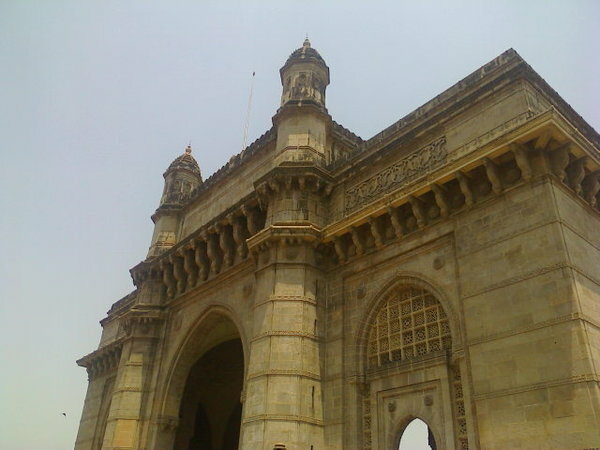 Reached gateway of india. 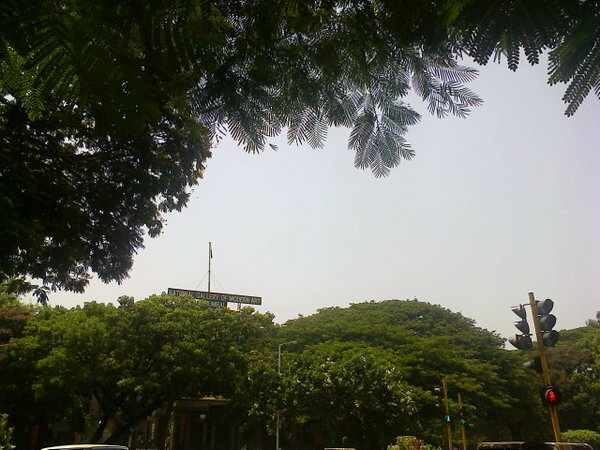 After gateway of india, old & new taj mahal hotel building, we then decided to go kamla nehru park through BEST bus. 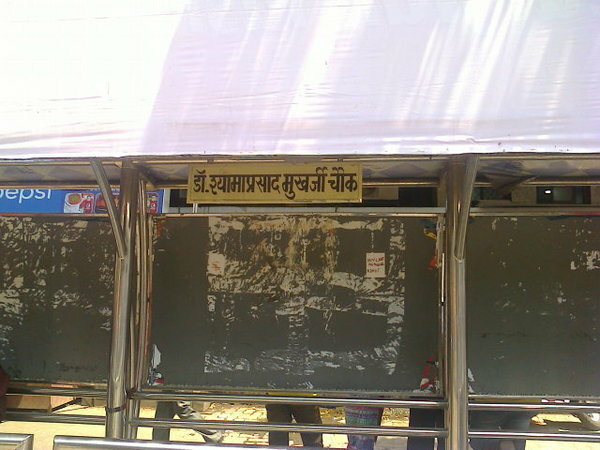 From gateway of india then we go Dr. shyama prasad mukherji chowk bus stop near maharashtra police headquarter. Waited there for 10 to 15 minutes for bus number 108. 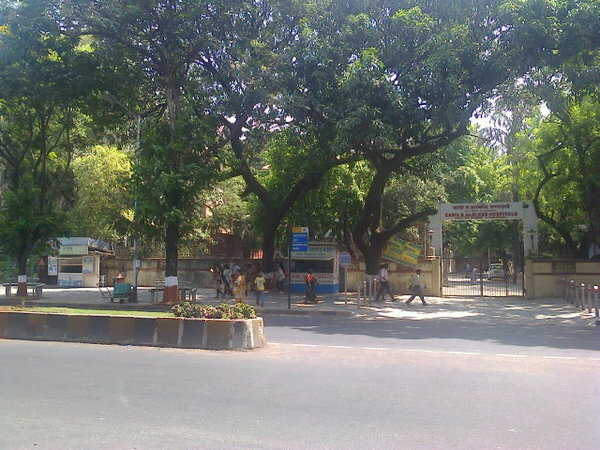 From Dr. shyama prasad mukherji chowk bus stop to kamla nehru park bus stop ticket Rs.18. 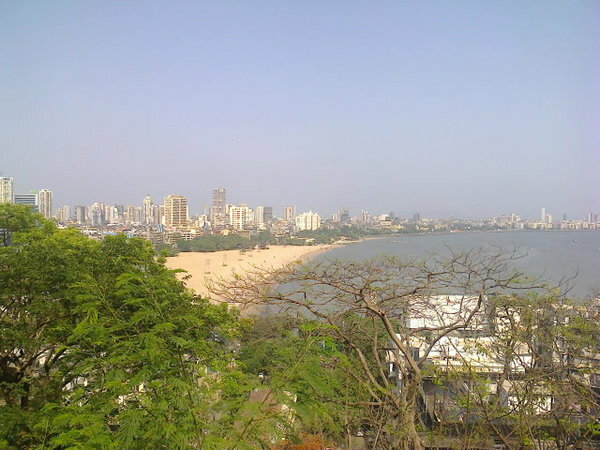 Through bus route one can see mantralaya, vidhan bhavan building, oberoi hotel, air india building, marine drive, taraporewala aquarium etc. Reached kamla nehru park bus stop at 2.30pm. 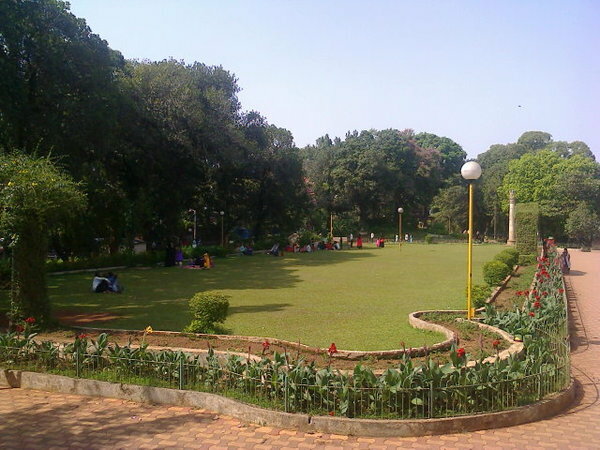 Situated on top of mumbai's malabar hill, this park named after jawahar nehru's wife kamla nehru. 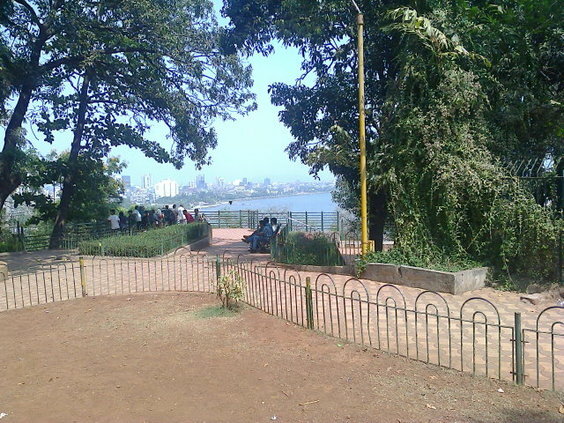 Kamla nehru park provides a great sight of the city of mumbai & girgaon chowpatty beach. The panoramic view of the city attracts tourists to this place every year. 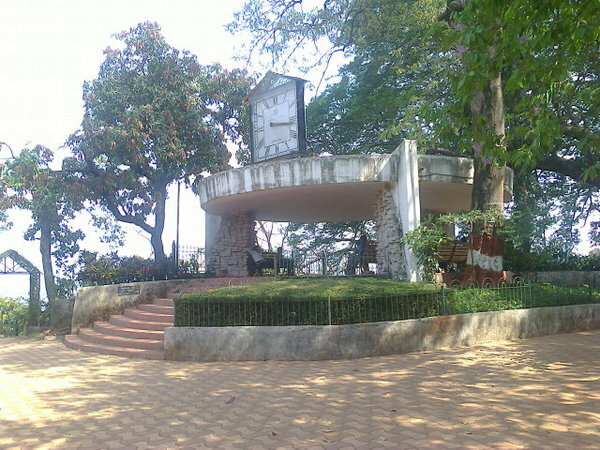 Kamla nehru park is famous for a unique structure called boot house. Childrens upto 12 years only allowed. 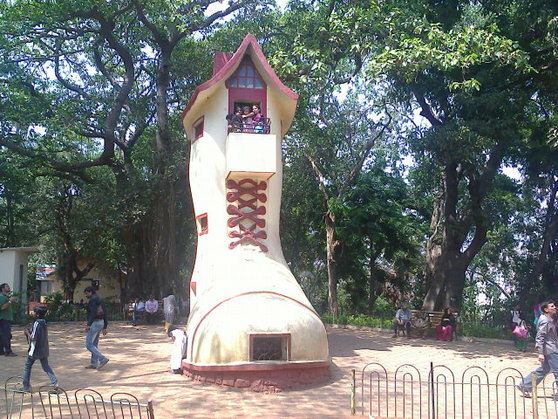 Though this park offers very little entertainment other than a shoe shaped structure. We come here to take some rest as sun gets so high (afternoon heat). Fantastic Journey Shrikant .. :) Following the thread .